Oktoberfest is usually celebrated in Germany in, well, October. But just the thought of spending $2,000 on a plane ticket and the 4-month wait for a celebration, nah. Japan is here to save the day once again — the Hibiya Oktoberfest takes place from 13 to 22 July 2018 at Hibiya Park, Japan and the 10-day event promises everyone will have a whale of a time. Japan’s Oktoberfest’s #1 entertainer, Anton, takes the stage as the starring band; alongside The Funny Guys, to bring you a series of musical and comedic performances. But what’s a festival without the festivities, right? And festivities are never complete without an extensive selection of food and drinks. Right off the racks from Germany’s local breweries, beers from Weihenstephaner and Paulaner will definitely be found at the Hibiya Oktoberfest. And as every seasoned drinker (or to put it more simply, alcoholic) knows, drinking should never be done on an empty stomach. With this in mind, traditional German snacks like the Brauhaus sausage and other meats (because who doesn’t love a good ol’ slab of grilled meats) are available all over the festival grounds. Excited? We sure are. 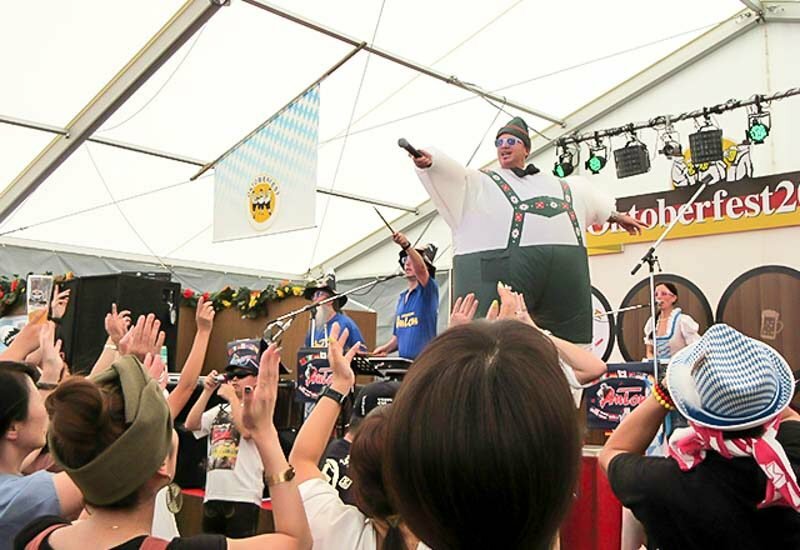 So grab your passports, and your kakis and head on over to the Hibiya Oktoberfest.